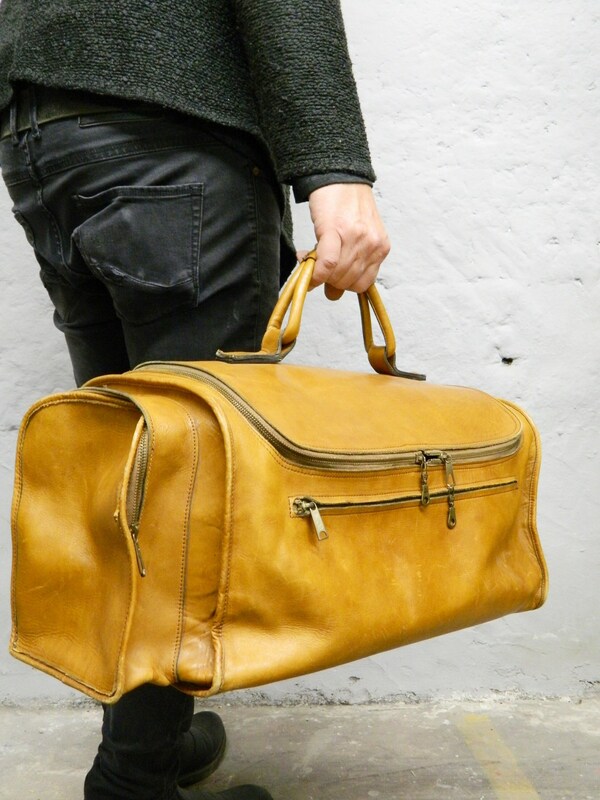 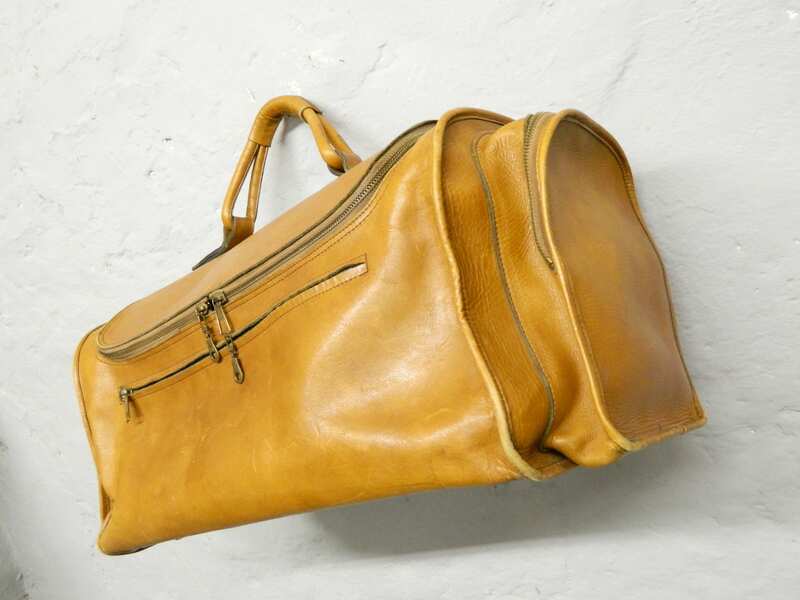 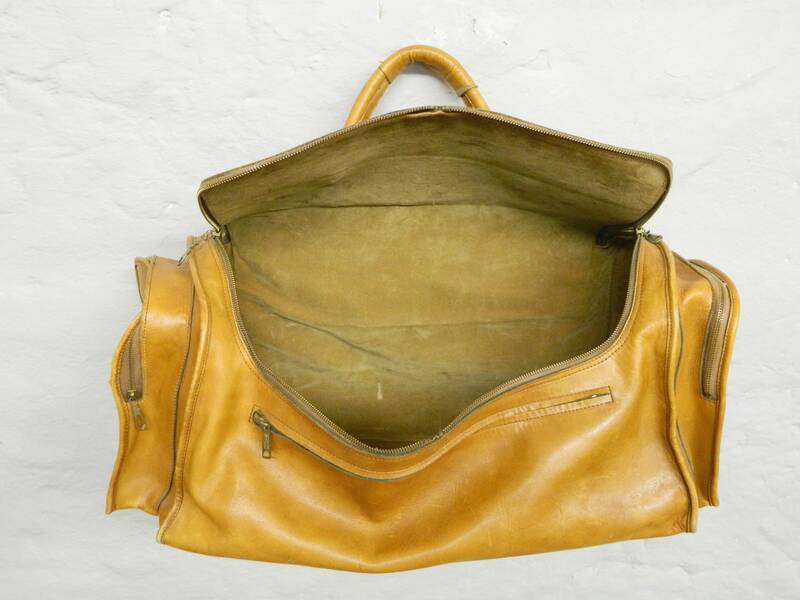 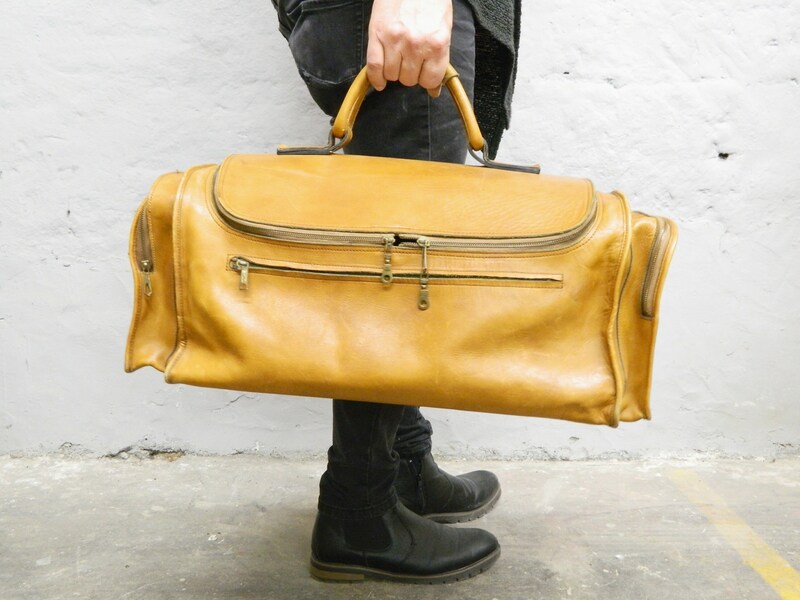 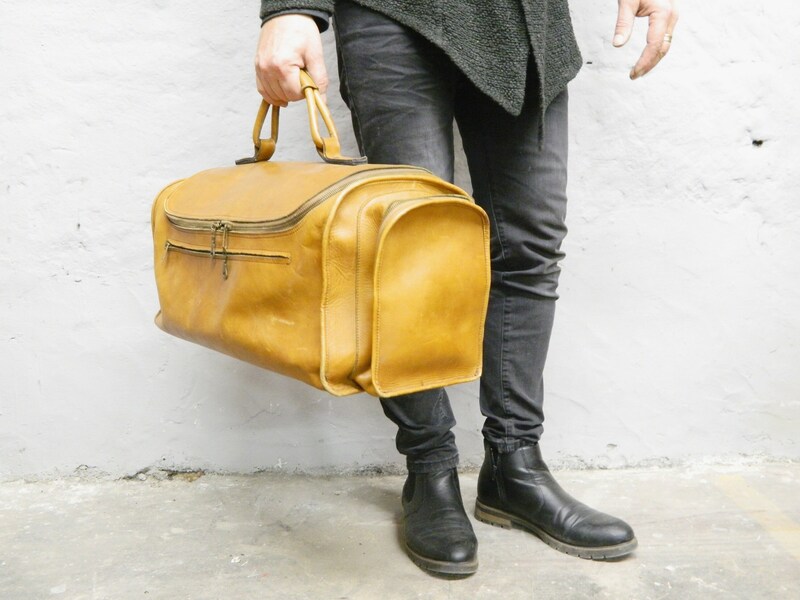 Great, large leather travel bag. 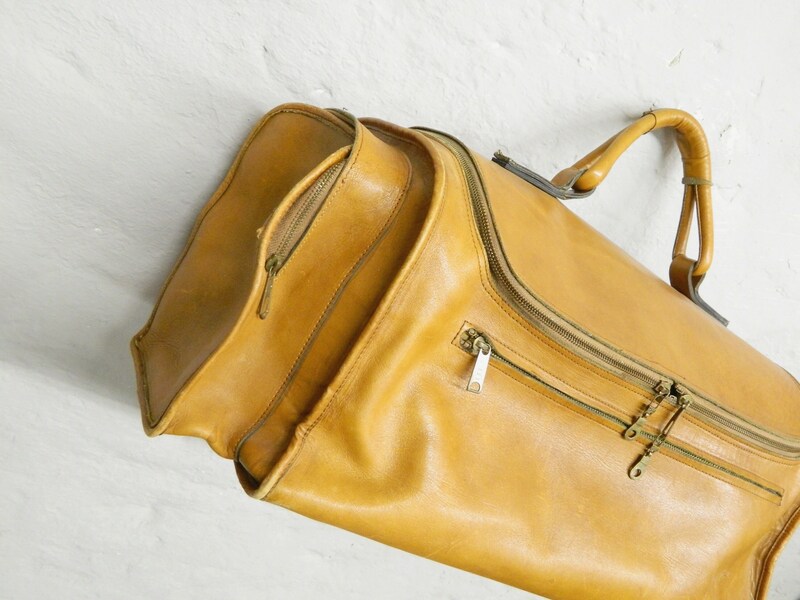 Inside there is a spacious compartment, on the outside additional compartments, which are also equipped with zippers. 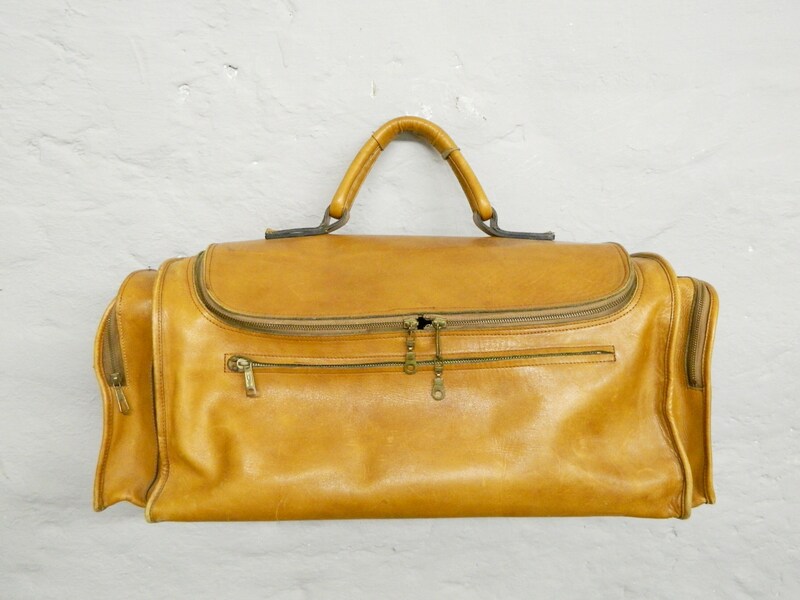 The condition is still very good.